The sun is out and the heat is real as we start out on our journey into the canyons of Southern Utah. The long awaited stretch of National Parks is finally upon us. In the next few days we’ll see the Arches, Dixie Forest, Bryce Canyon, Zion, Grand Staircase, Monument Valley, and the North Rim. Backcountry camping will be a true testament to our aptitude for the desert, already we’ve seen warnings for rattlesnakes and scorpions, and those were in public. As we pass through the mountains separating the Great Basin from the canyons, green starts to appear once again. 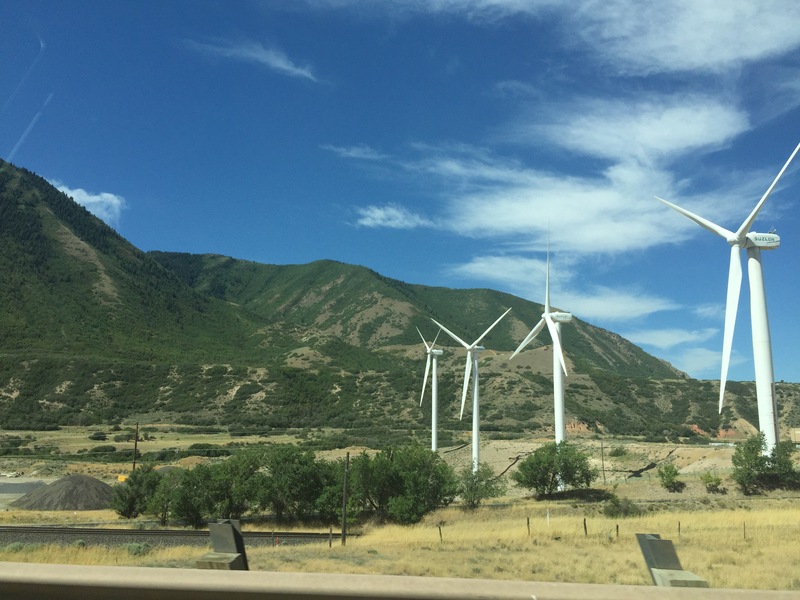 Lush valleys and grassy slopes line the highway, even wind turbines spin dot the land, spinning lazily in the morning breeze. Hints of the red sandstone crop up every so often, a streak or two running down the side of a mountain, or hidden beneath the trees. Not long now until we’re exploring the last new biome we have left to see in the continental states. More updates to come. We’re in the canyons. 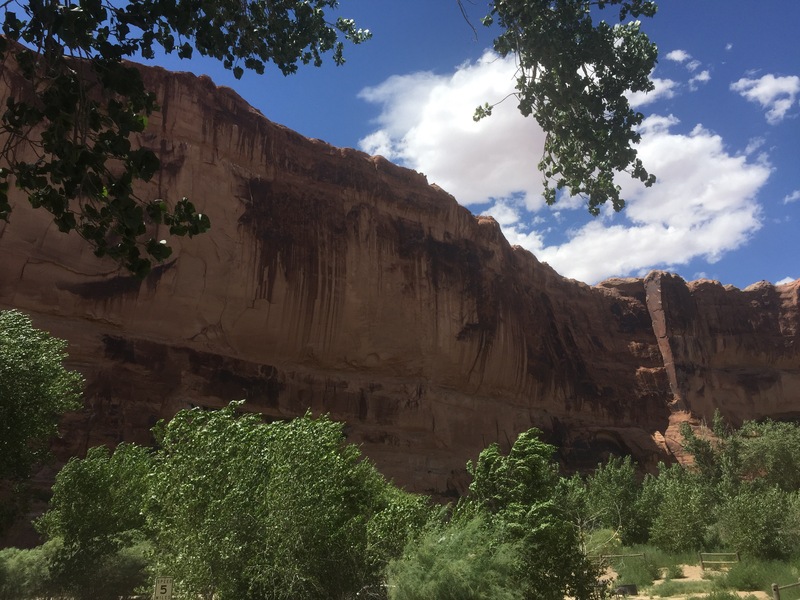 After descending into the town of Moab, the rock has turned red and the heat has gone wild. It’s over ninety degrees out, and the sun is relentless. The classic images of spaghetti western backdrops are beginning to fall into place though, as we head deeper into the canyons spanning southern Utah. We snagged a camp spot on the banks of the Colorado, about 40 feet from the border of the Arches. With the tent pitched all that’s left for today is to go explore the park, which promises to be an incredible hike. More updates to come.